The Attendance statistic function allows you to view the attendance of members. 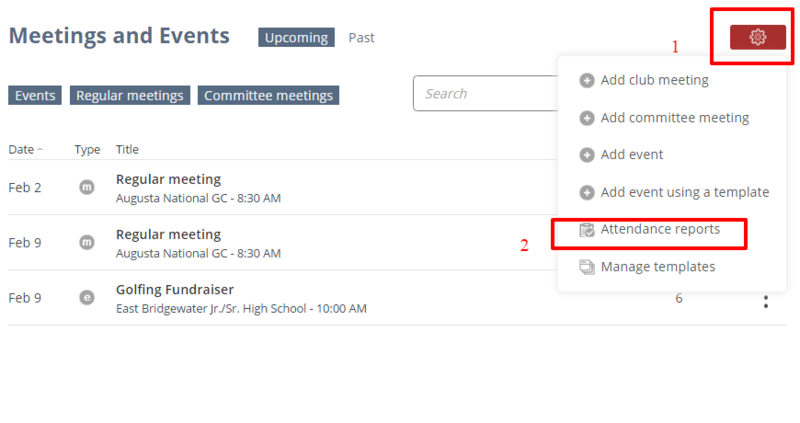 You will be able to view how many meetings were attended by each member for the specified timeframe and will be able to view the percentage of meetings attended. 3. Click the red Administration icon and select Attendance statistics . 4. In the textboxes, enter a date range to see which meetings occurred during those periods of time. 6. The grid shows each member name and the number of meetings attended during the specified timeframe. 7. If desired, click the magnifying glass to view meeting dates of each member. Note: To download member attendance details in .csv format, click the red Administration icon and select Export.